Apart from smartphones, hi-tech wearables are the next popular thing today. Smartwatches, in particular, are so useful when it comes to giving you notifications right on your wrist. Google OS is the operating system that runs most Android smartwatches. With the rebranding of Android Wear to Wear OS, now these smartwatches can run on Android and iOS devices. These smartwatches work like a mini computer since you never have to touch your phone. They can support apps like Google Assistant, Gmail, and Messaging to keep in touch. They have fitness apps, and fitness tracking features, music streaming apps like iHeartRadio, Pandora, Play Music, Spotify, and have maps, calendars, and support apps like Uber. Samsung also has the line of OS-Tizen smartwatches that can work with a range of Android smartphones. This includes the Gear S2 and S3. The S2 model is an affordable piece with great features worth considering for your next timepiece. There are also countless brands that use proprietary software but their smartwatches can seamlessly sync with Android smartphones. This include brands like Pebble, Alcatel OneTouch, and Martian Watches. If you are searching for an Android smartwatch on a budget, you will not have all the features of a high-end brand. That’s why it’s vital that you identify the features to expect in the Best Cheap Android Smartwatch. Android smartphones are designed to be companion devices to your Android smartphone. Fortunately, most Wear OS smartwatches are compatible with most devices. You will want to check that the OS version being used in the smartwatch is compatible with that of your phone.Wear OS works with Android 4.3 and above while Samsung works with Android 4.4 and higher. Which apps do you want the smartwatch to run? You will find dozens of inbuilt apps. It is a good place to start. But can you add more apps to suit your taste? Even an affordable smartwatch should have the capacity to add new features.Some smartwatches offer answering of calls using an inbuilt mic. Others allow replying to text messages and also support media players. Build Quality Your smartwatch should be dust, sweat, and splash resistant. Seeing that you will be wearing your smartwatch for most of the day, you will want it to withstand the elements, splashes when you wash your hands, and it will not break apart when you drop it.A good smartwatch will have an IP67 or IP68 water resistant rating. This means it is impervious to water, dust, and sweat.The materials used in its construction are also crucial to look at. Materials like gorilla glass, ceramics, and stainless steel are considered to be of high-quality. Design and Style Do you prefer a round or square faceplate? These are some of the specs you will need to consider when looking at the model. 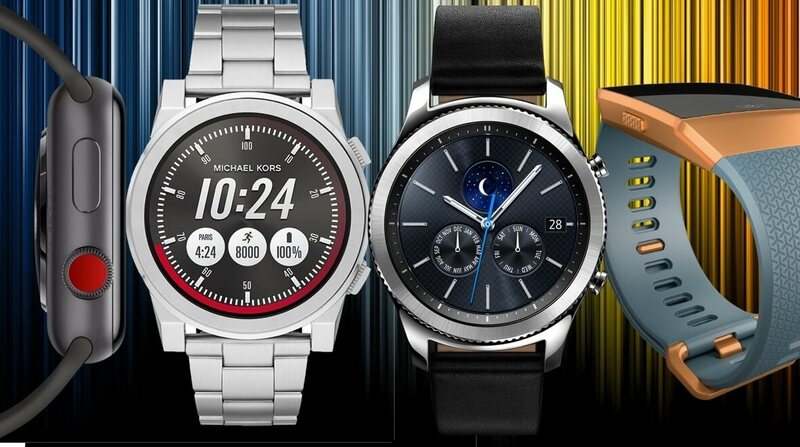 You will want the smartwatch to be consistent with your style. You will encounter rubber, plastic, and leather straps. Genuine leather wristbands are the most comfortable, but then they tend to be a bit expensive. Here you are looking at the difference between a touch and a button interface. Touchscreens seem effortless when it comes to scrolling the apps and getting to the features within the apps. But it can involve a series of swiping which can be annoying.Other smartwatches combine touch, tapping, and using the bezel. They are much simpler to operate instead of toggling through a series of applications. Why we like it: This hybrid smartwatch offers a long battery life and it comes with a 2-year replaceable battery for the analog watch. The Martian Watches Notifier has a ton of features that make a busy life more manageable. 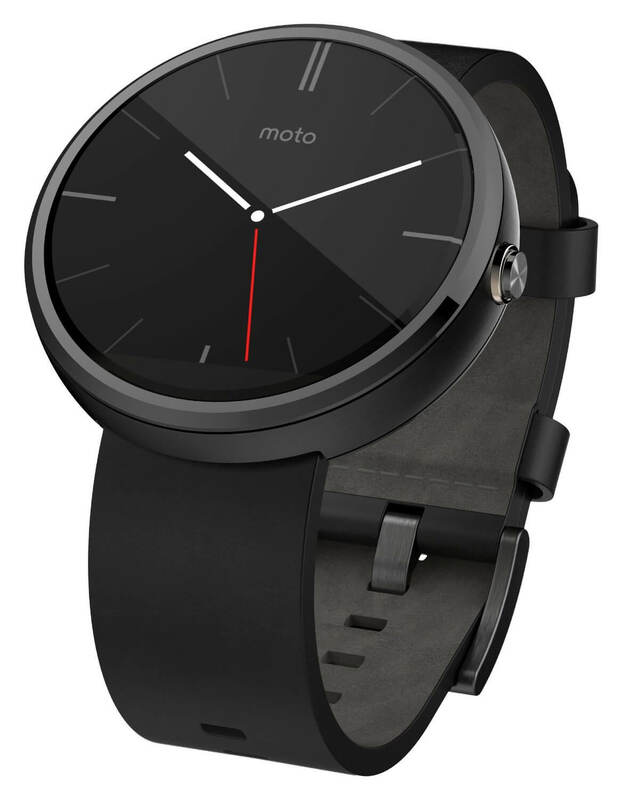 It has a stylish look that is almost similar to that of the Motorola Moto 360. But it runs on proprietary software instead of Google OS. It supports quick notifications from thousands of apps. From caller ID to text messages, social media updates, games, finance, weather, calendar, headlines, etc. You will be able to customize vibrations for different notifications so that you will know the type of notification without looking down at your wrist. It even allows you to look back at the message within 5 minutes of receiving the notification by tapping the screen. With the apply filter function, only crucial information will show up on the screen of this smartwatch. The camera shutter control feature is a nice addition since you can now hold your phone at a better angle when taking a selfie while this watch takes the photo. With the phone leash, it alerts you when your phone is out of range. It is useful since it also comes in handy when trying to locate a lost phone. 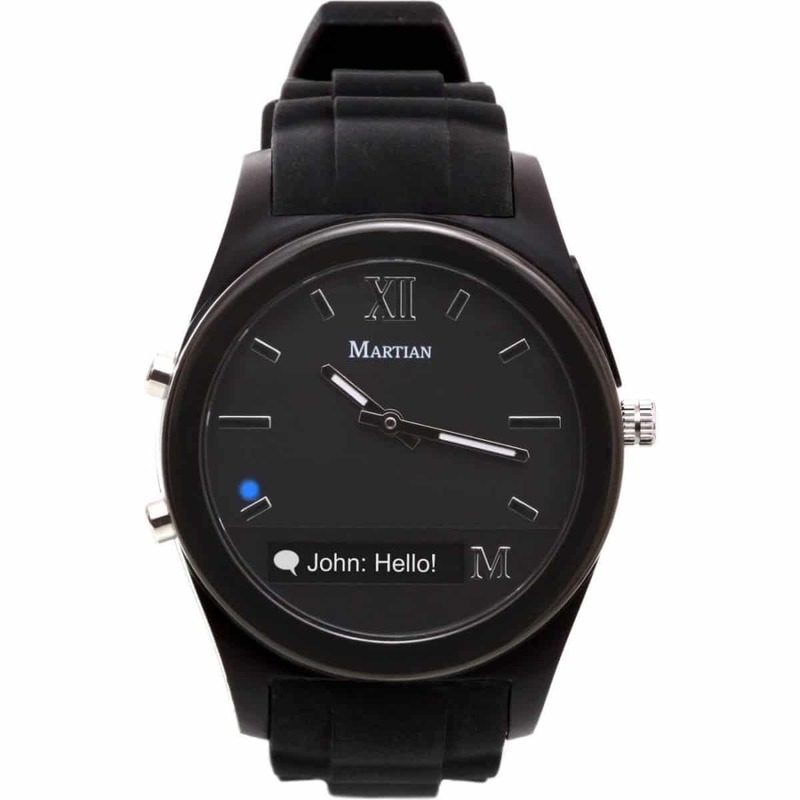 Martian Watches Notifier is home to numerous functions from the comfort of your wrist. It has useful features including the three-axis accelerometer that will count your steps. It does not only provide you with critical updates, but it also keeps up with your fitness activities. Why we like it: It is a high-quality model that is useful in intense activities that involve getting wet and putting the smartwatch through a good soak. There’s nothing better than having a smartwatch that you can wear when taking a swim and never worry about the internal circuitry. With Willful Smartwatch, you can undertake intense activities thanks to its IP68 waterproof rating. You can dive in waters that are as deep as 3meters, and it will record basic stats surrounding your health. 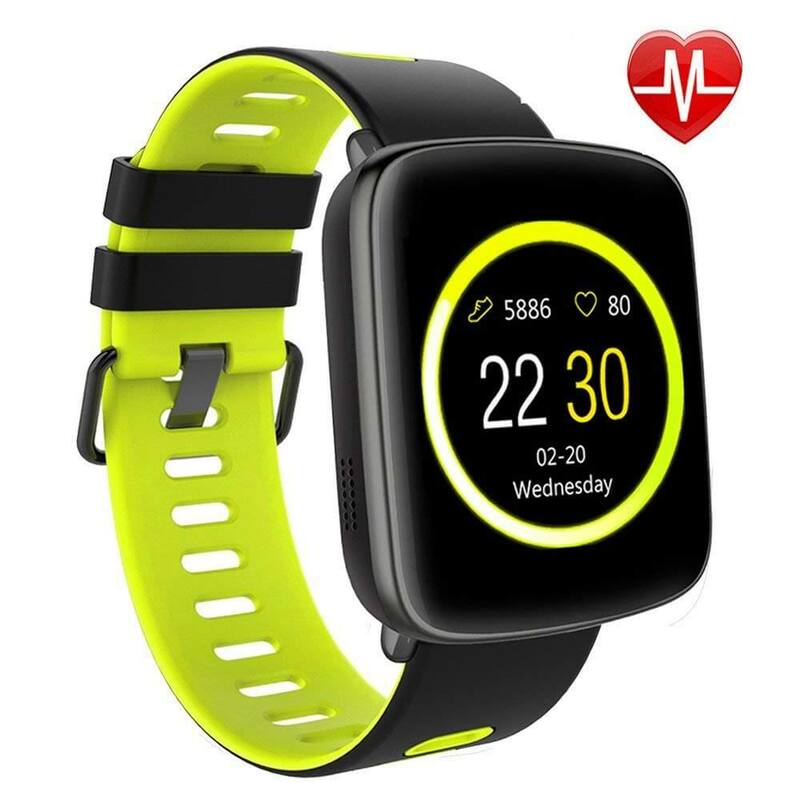 It has an accurate heart rate monitor that supports the pedometer in giving precise information concerning the steps you take, calories you burn, and the distance you cover. It does not need to be set to the sleep as it tracks your sleep activity automatically. It even supports a stopwatch function when you need to monitor your time during training sessions. This smartwatch offers hands-free calls since you don’t need to touch your phone. It provides effortless answering of calls when your hands are occupied more so if you are driving or you can’t reach to your phone when it is in your handbag or backpack. You also get to control music and your phone’s shutter feature with this device. It is a much more simplified way of toggling through your music and listening to the tracks you love. It has a default alarm, calendar, and calculator. Willful is not a new name in the world of fitness wearables. This piece is affordable without making any compromises on the features and the build quality. It deserves a place on our list thanks to its unique attributes. From the inbuilt pedometer to automatic sleep tracking, and hands-free calls; it showcases convenience at its best. Why we like it: The band, front casing, and body can all be swapped out for a personalized look. We love it got the customizable design. Every youngster needs a stylish smartwatch on their wrist. 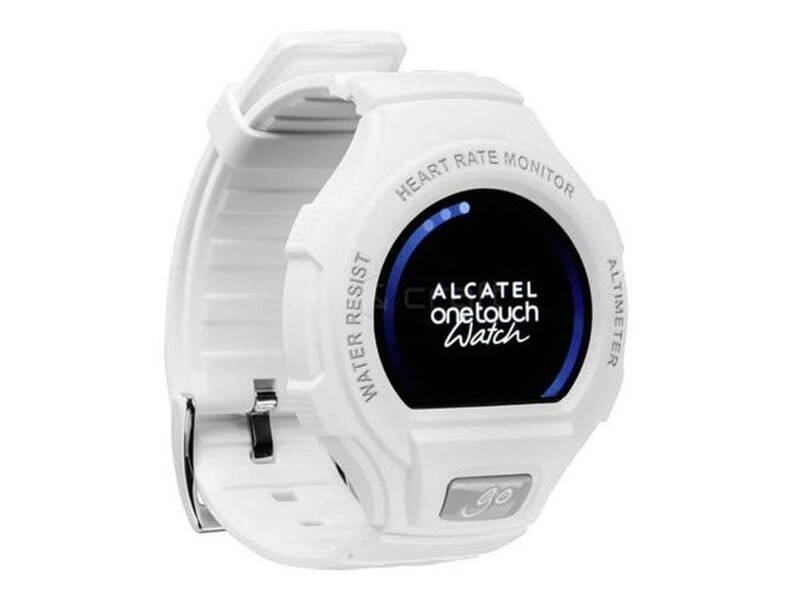 Alcatel OneTouch Go Watch is the exact smartwatch to have when you want to truly customize its looks. 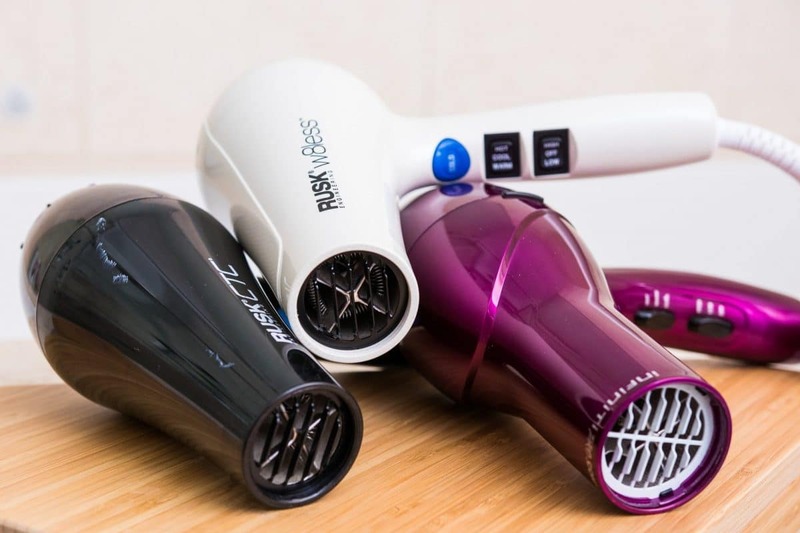 It has a chunky feel but it is lightweight, and it offers intuitive features to lessen the hassle of everyday life. With an IP67 water resistance rating, it has been designed to withstand showers but not deep diving. It will provide great usage if you regularly go swimming and do not need to remove your smartwatch every time. This device has a heart rate monitor and altimeter. It works well for a fitness companion, and it even has reminders to ensure you will not sit at your desk without moving a muscle. The notifications are what we expect from call alerts, texts, and social media notifications. It also supports emailing, weather reports, and controlling your phone’s music. We like the user interface because unlike other smartwatches with a capacitive touchscreen, the apps are side-scrollable so that other features are easy to see by swiping through the apps. Alcatel has included their unique emotion feature. It is quite catchy as it reads your emotions using the heart rate monitor, gyroscope, and accelerometer; and then presents the command like Go Jump or Go Rage, Go be Active. You can share this emotion with friends and family or save it as your screen’s wallpaper. lcatel OneTouch Go Watch presents a unique concept that allows you to feel connected to your life and the world at the same time. All its properties are aimed at giving you an easy time while carrying out daily activities. It is personalized from the band to the chassis and bezel. It uses Alcatel OneTouch OS which may limit the number of apps that you can operate on it. Why we like it: This smartwatch can operate independently like a smartphone for receiving calls by inputting a sim card. It also supports a 16GB SD card for more storage. HongTu lets you have total control since you can sync it with your phone or use it independently with a micro sim card. When synced to your phone, it will provide all your essential notifications including caller ID, text messages, weather updates, traffic, etc. You can assign a ringtone or a vibration to your notifications for easy recognition. Even at a subtle price, this smartwatch includes a pedometer to track steps, calories, distance, and sleep activity. It also has a sedentary reminder to help you take breaks from your desk. The clock face is customizable so that you can express your style or have the vital apps appear on top for quick access. This smartwatch provides you with onboard storage for music and photos. You can store JPG and PNG formats as well as MP3 and MP4 files. This way, you don’t have your phone on you to listen to all-time favorites. This Bluetooth Smartwatch balances its feature-price aspects. 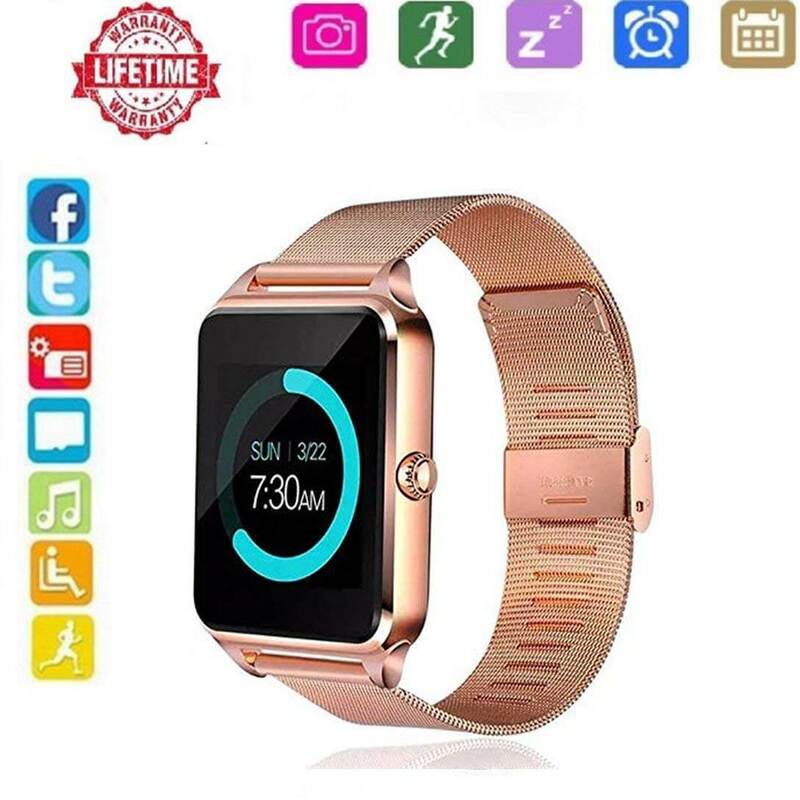 We don’t expect it to last a lifetime, but it has decent attributes that include sim card and memory card slots plus it has a pedometer for fitness tracking. Why we like it: This brand represents all the innovative features we’d like to see on a smartwatch. It boasts high-performance, incredible build-quality, and reliability. 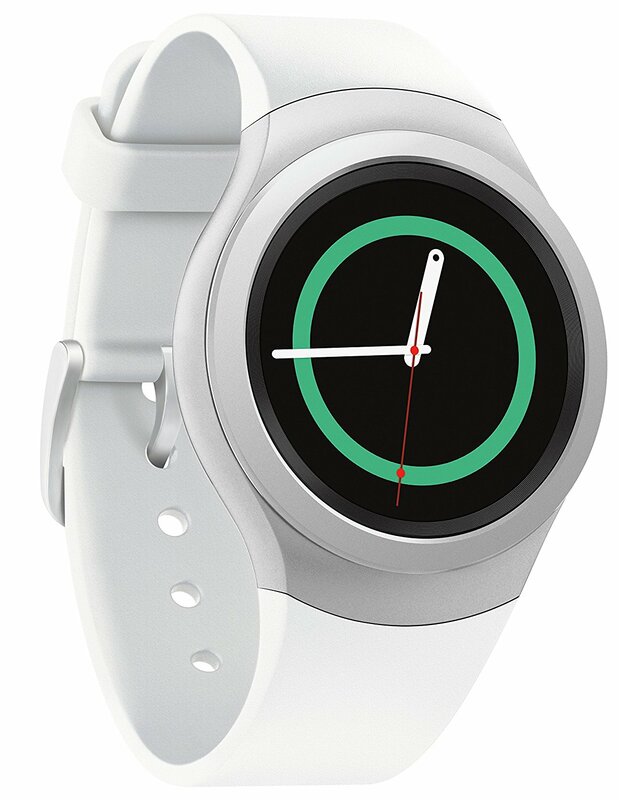 Samsung Gear S2 is an OS-Tizen based smartwatch. It is unique from the exterior look with a durable gorilla glass screen. With the comfortable and interchangeable straps; this smartwatch will look good on your wrist. It includes a small and large strap, so you get to choose the one that suits you best. You will get all valuable notifications right on your wrist. From text messages to calendar reminders, the weather, notes, and any other updates that you may like for your everyday tasks. It is a hub of useful apps that will support a busy lifestyle. If your phone is always lost in your bag or you keep forgetting it, Samsung Gear 2 will keep you in touch with what’s important. When it comes to keeping up with your fitness goals, you have a device that has an activity tracker. It will count your steps, distance, calories, and it will also have a heart rate monitor. This feature allows you to be on top of your cardiac activity. The data will sync with the S Health app. You will have a good idea of your progress and your goals. The user interface is an intuitive aspect of this smartwatch. The AMOLED screen is easy to see in the sun. It will be effortless to control using the touchscreen and rotating bezel. It has a decent battery life of up to two days. We don’t expect longer from these devices, but with Samsung, you will not be dealing with cables. This smartwatch will charge wirelessly on a charging dock. Samsung Gear S2 is in a durable design. It is an excellent companion when you want to accomplish tasks and never miss a thing when you are too busy to check your phone. It can support thousands of apps thanks to its large internal memory. But it won’t play music so you will need to pair it with wireless earbuds to listen to your favorite tracks. Why we like it: This smartwatch is all about fitness and helping you stay on track. For the price, we have to give it to Fitbit to bring in the wow factor in a fitness smartwatch. It seems obvious, but Fitbit deserves every hand of applause for their designs. The Fitbit Versa Smartwatch is everything we wish and so much more. The battery has an incredible running time of over four days. It comes close to the Martian Watches Notifier but not close to the Pebble Time Steel. For the functionality, it is worth much more than the battery life. With this smartwatch, you can track all-day activities including the heart rate and sleep activity. Not to mention, it has 15 sports modes that you can choose according to your exercise like running, cycling, and aerobic activities. You can use SmartTrack to recognize your activity automatically, so you never have to select the mode again. Fitbit Versa allows you to download over 300 songs. When paired with wireless earphones, you can leave your phone behind in outdoor activities or when working out at the gym. It provides a more fulfilled experience using the on-screen coaching that goes a long way in guiding your fitness activities. We like that you will be able to make wireless payments without your card using the NFC inbuilt chip. You will not need to carry your wallet with you, but you can enjoy life and have access to the stuff you like in a moment. The clock face is changeable to a variety of choices which make it super fun to wear as it will feel new every single day. The color LCD screen is on an aluminum body that speaks of durability. It is waterproof to 50 meters making it swim proof. 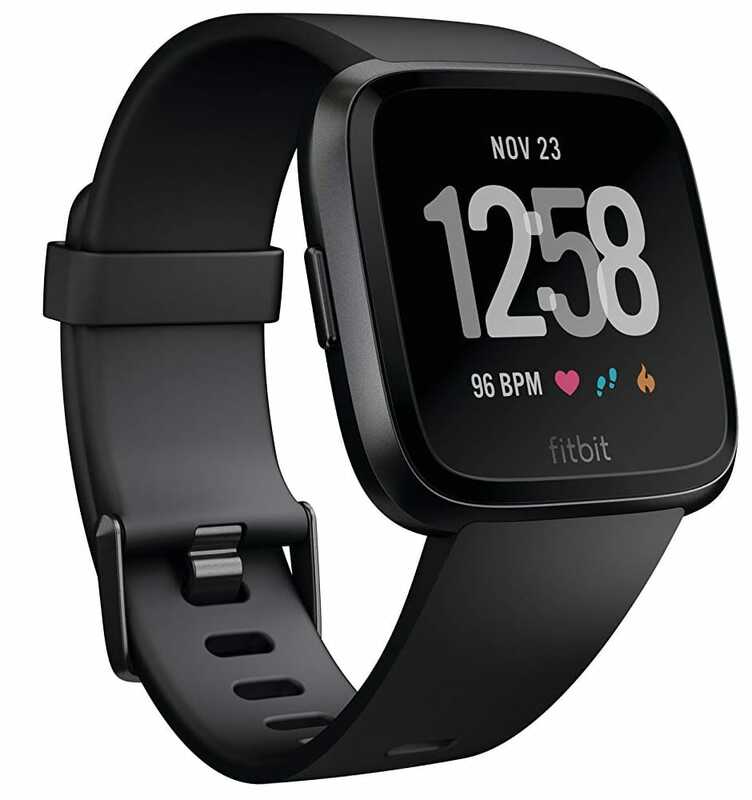 When you want a device that has numerous apps, track fitness activities, and tell time, no model does it better than the Fitbit Versa in our price range. 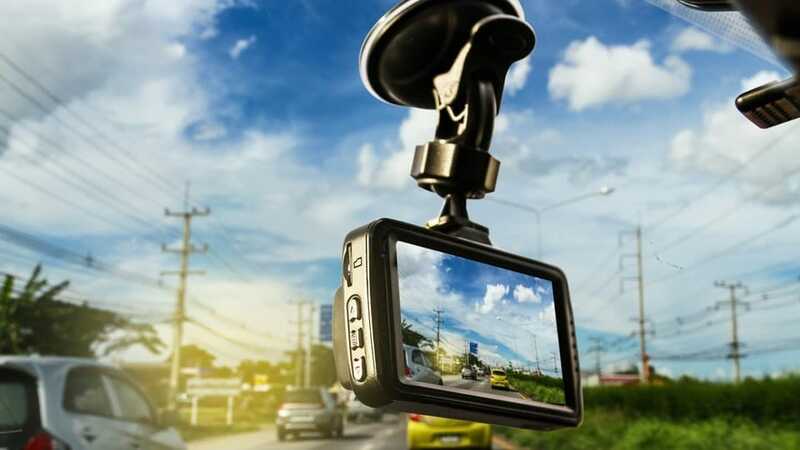 It showcases remarkable features that will work seamlessly with your Android smartphone. Why we like it: Powered by Android Wear, this smartwatch helps you stay connected, healthy, and updated. This is our recommendation for busy professionals. Never get lost, miss a meeting, get stuck in traffic, or fail to reply a text message again. Motorola Moto 360 is as they say a modern timepiece that is of great help when it comes to keeping in touch with all the essential aspects of a busy lifestyle. This smartwatch provides the capability to reply to messages, get weather and traffic updates, all with the command of your voice. Your days will be effortless as you get to have yours tasks organized thanks to all the apps this Moto 360 can support. All the updates are in real time so no matter where you are, you will not miss a flight because it will alert you when its time. The Moto Body Activity Tracker is a thoughtful feature for a healthier lifestyle. It can track your steps and heart rate throughout the day. The ambient mode function helps to keep your important apps on the face and keep the watch on while preserving the battery level. Say you want to have a map on hand, or you have a to-do-list to accomplish, it will always be on the face until you have completed the tasks at hand. Motorola Moto 360 is an elegant smartwatch with cool features to complement its good looks. It has sophisticated attributes that include a powerful microphone for voice commands. Considering you will not be shelling out thousands of dollars it a good consideration. Why we like it: This device offers up to 10 days of battery life. It is one of the longest running time you will get on a smartwatch, not just a cheap one if it is not a hybrid smartwatch. If you are not sure which best Android smartwatch under $100 is good for you, then you will be interested in the Pebble Time Steel. Apart from having ten days of battery life, this piece also has numerous premium features. First, it uses a proprietary Pebble operating system that will work with your Android or iPhone. It offers access to hundreds of apps on the Pebble app store. This includes helpful apps like Uber, Spotify, Pandora, swim.com, etc. It is a real-time manager as it will show important notifications like texts, call alerts, updates, meetings marked on your calendar and many others. With your Android 4.3 and above, you are lucky because it can send voice replies for the regular working apps like messaging, Twitter, Whatsapp, and Facebook. We would give the high-quality design as a convenient feature since it is not every day that we encounter a quality smartwatch on a budget. 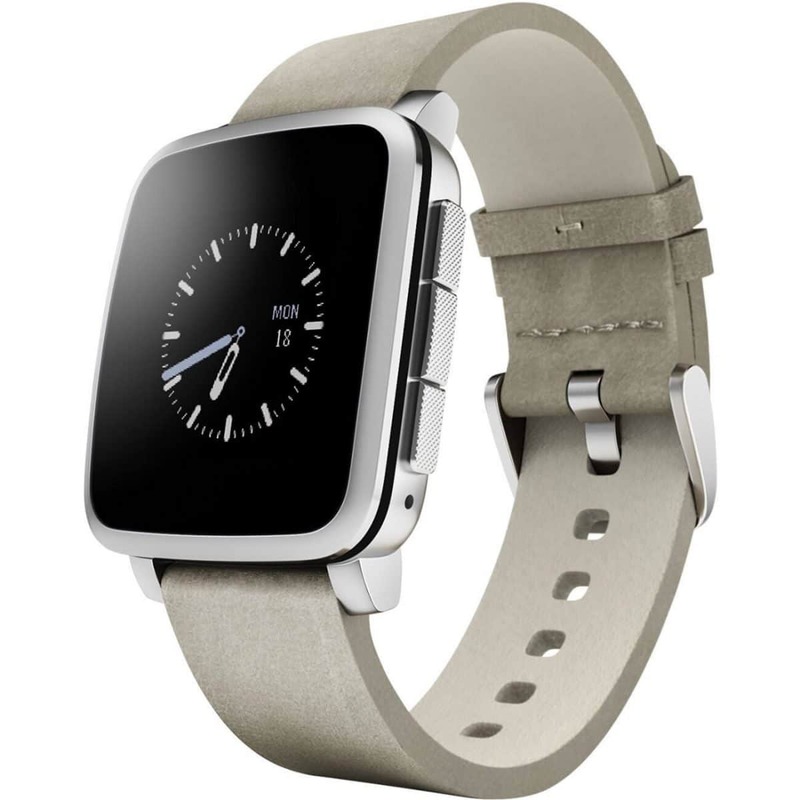 You will like that Pebble Time Steel has a 10.5mm bezel with a marine-grade stainless steel chassis. The e-color paper display is LED backlit, and it stays on for over a week. While you won’t be getting any advanced features like NFC payments or LTE support, Pebble Time Steel gives you lots of practical features for the price. We can’t forget the activity tracker as it enhances the functionality of this device. And when it comes to replying to text messages, it is with a simple voice command. Why we like it: This wear OS smartwatch supports Google Assistant so you can accomplish any task when your hands are full. Wear a handy assistant in style. Ticwatch E is not an average smartwatch. It offers the best bang for your dollar thanks to its endless usefulness. The Wear OS operating system will work on both Android smartphones and iPhones. It will sync seamlessly via Bluetooth 4.1 or Wi-Fi connection. This gives you access to thousands of apps where you can download fitness apps, social media, finance, weather, travel, and every other app that will make your life simpler. With Google Assistant, you can get everything done just by asking for a little help from your wrist. Whether you want to get to the nearest coffee shop, reply to a text message, know what is on your list of to-do, or learn something new, Google Assistant is all you need. You will like that it has a fitness tracker with a heart rate monitor. It can track five activities including walking, running, cycling, strength training, and indoor runs. It can sync the stats to Google Health app for a closer look at your activity level. If you want an Android smartwatch for running, the inbuilt GPS on this smartwatch will help to map out your route. It is an important feature when you want more accurate results about your performance. With this smartwatch, you can also stream music directly from TicWatch E music app. This means you can play music via wireless headphones. We love that it has a powerful mic that will let you answer calls from your Android smartphone. TicWatch E unveils a high level of superiority among Android smartwatches in its class. From support for Google Assistant to an activity and sleep tracker, and the ability to reply to calls, this model is a remarkable piece to have on your wrist. 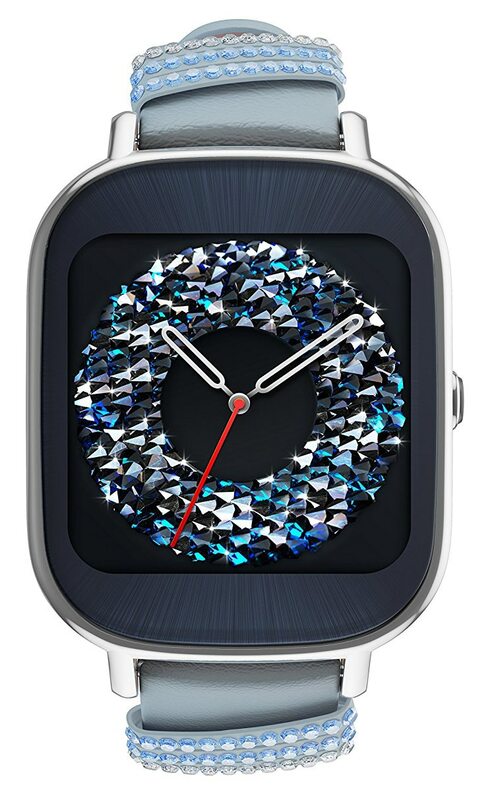 Why we like it: This is a beautiful smartwatch with a strap accented with Swarovski crystals. It remains feature packed to ensure you get through the day with less hassle. Great for women. There are lots of strap designs to choose from the ASUS ZenWatch 2. But we feel the silver model with Swarovski crystals is an appealing feature for ladies. It showcases durability thanks to its crafting from stainless steel and it includes a leather strap. It will not collect any sweat in the straps which makes it a comfortable look. We like that is has a scratch-resistant Corning Gorilla 3 glass. It ensures your smartwatch will remain in perfect condition for a long time. This model is water resistant with a rating of IP67. Unlike the Ticwatch E, you can shower with this smartwatch. It is submersible in water with a depth of 1 meter for up to 30 minutes. It does not restrict you when you are around water since it will not easily be damaged with exposure to moisture. ASUS ZenWatch 2 can hold a charge for two days with regular use. You will appreciate the HyperCharge function as it lets you charge the device for 15 minutes to get a 60% charge. If you forget to charge the previous night, you still get full functionality for a whole day with a few minutes of charging before leaving the house. The ASUS ZenWatch 2 gives you a fast and convenient way to communicate with friends and family. 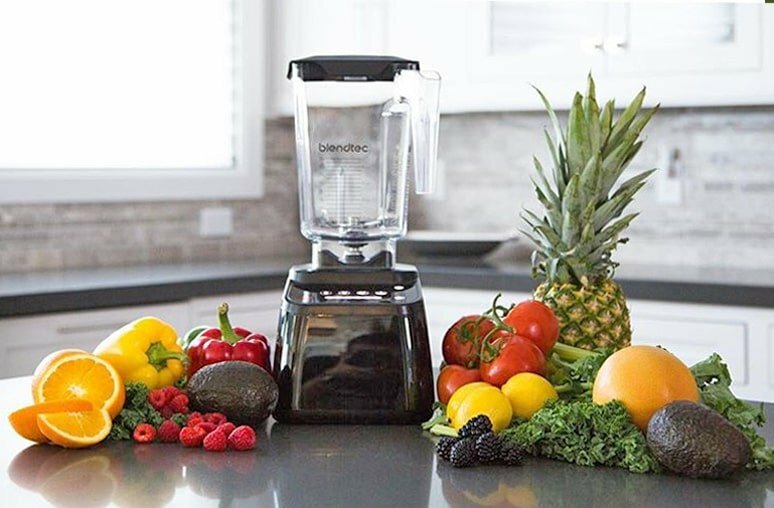 It provides a smart assistant, wellness manager, and hypercharge all for your convenience. It only lacks a heart rate monitor but it is priced way less than other models in the under $200 category. The convenience of smartwatches is in giving essential notifications without turning to your phone. But how easy will it be to see those notifications? Can you have important apps always-on and can you filter messages? You will want your smartwatch to support as many notifications as possible. This way, you will have it serve you for a very long time without the need to switch it. Apart from the usual organization features, you will also need to know which other features you will need. These include things like Google Assistant, GPS, heart rate monitor, and answering calls. After the operating system, having a smartwatch that you can read easily is a top consideration. You will encounter OLED, AMOLED, LCD, and e-paper displays. LCD screens can be in color or monochromes. They tend to display beautiful colors, but their blacks usually appear gray. E-paper screens are very easy to see in the sunlight. OLED and AMOLED have excellent blacks and consume less battery power than LCDs. AMOLED screens, in particular, can support large displays. 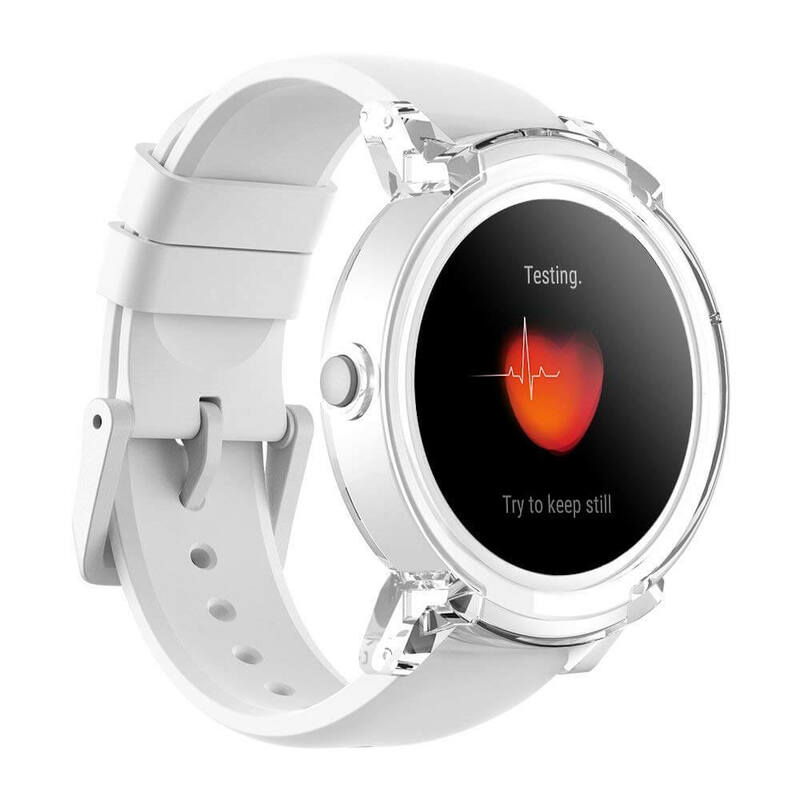 If you want a fitness-based smartwatch, it will need to have a heart rate monitor, pedometer, sports mode, GPS, etc. This way, it will be more functional for a busy and active lifestyle than other models that only offers steps and calories tracking. As they say, the battery is the juice that runs your smartwatch. Monochrome smartwatches can have their batteries run for up to five days, but colored screens barely get beyond two days. This is because most of them use AMOLED and LCD screens. Except for the Pebble Time Steel that manages ten days because of its e-paper LED screen, you can expect to charge your smartwatch nearly on a daily basis. When smartwatches were introduced on the market, there were only a handful of brands. But advancements have made it easy for more manufacturers to showcase their prowess. Now you can have one of the Best Cheap Smartwatches that can support multiple apps for control and convenience at your wrist. The smartwatches presented here are perfect additions to your lifestyle. These are handy devices that will fit in with your schedule and help with keeping up a busy schedule. You will find an easy pick for fitness, Wear OS, waterproof models, and highly-customizable designs.